MissionFOTO produced three videos for the Christian Student Fellowship (CSF) house to be used as promo pieces to help raise operating funds for the house. The house maintains a population of nearly 70 Christian students in a reconditioned fraternity on the north side of the Indiana University campus. 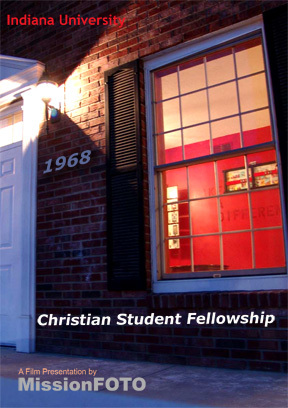 Founded in 1968, IU CSF chapter has become a center of Christian teaching, living and community. An excellent praise band plays every Thursday evening for a student oriented service with attendance up to 90 students from across campus.